Apple season is underway! New Jersey orchards are busy prepping for apple picking. Starting September 5th, Demarest Farms in Hillsdale, NJ will be open Monday through Friday, from 3 to 4:30PM, and Saturdays and Sundays from 10AM to 4:30PM for apple picking. If you can’t make it out to an orchard, never fear – you can head on over to your local Farmer’s Market and purchase some apples there. From June through November you can stop by any Wednesdays from 2-7 at Sloan St. lot 9. Once you’ve got the apples in hand, there are so many options for delicious treats! For apple pies you want to choose crisp apples that won’t get mushy after being in the oven for an hour. Tart varieties are key since sugar and cinnamon are big components of most recipes. 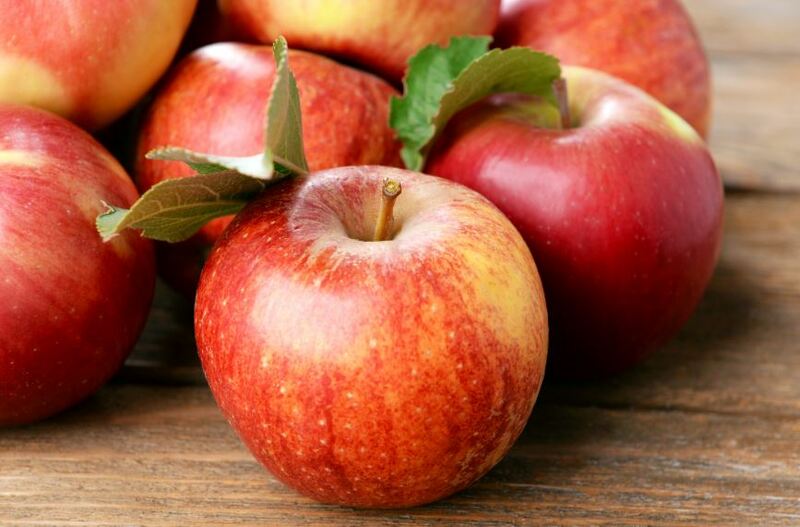 Granny Smiths are most common, but mixing tart and sweet varieties makes for the best flavor. For applesauce you want soft varieties that will cook fast like Gala, McIntosh, and Golden Delicious. Baked apples are by far the easiest apple recipe. Just core the apple and add cinnamon, sugar and a pat of butter, and stick it in the oven. Just use a variety that will hold its shape when cooked, such as Rome Beauty, Jonathan, or Empire. All of these recipes make for great dishes to try in your brand new Third & Valley kitchen once you’re all moved in!